Kamal Hassan is a spiritual leader, educator, and community servant. He currently serves as Pastor/Teaching Elder at the Sojourner Truth Presbyterian Church in Richmond California, a position he has held since 2008. he is also a Board member of the OneLife Institure for Spritiuality and Social Transformation in Oakland, CA. Before this Reverend Hassan spent more than three decades as both a public and private school educator, community organizer and religious worker. He holds an AA degree in Radio Broadcasting from Los Angeles City College, a BA in History from California State University Los Angeles, and a Master of Divinity degree from the San Francisco Theological Seminary. We create change when we bring forth our best selves. Come out to experience 30 minutes of life changing SOUL YOGA with radio personality and motivational community leader NIKKI THOMAS. This mini-class is for you if you have been “meaning” to try out a yoga class, but are unsure of where or how to begin. It’s designed especially for beginners. We’ll go slow, explaining every move step by step. Modifications will be offered as well! Take a step toward mind/body wellness with SOUL YOGA at the Pan-African Festival. Bring your mats! Visit Nikki at the SOUL YOGA booth to purchase SOUL YOGA DVDs and to sign up for more classes/get more info. The word Mu-i (in Japanese & Wu in Chinese) literal translation means "without" or "non-action". Mu-i Zen Taiji teaches students how to step into their lives and navigate it fearlessly without the need for aggression through unique somatic and neurological approaches to acquire inner stillness in movement. Students practice ten movements accompanied with affirmations that lead and support you to contextualize the practice into a lifestyle. This art is designed to support health & wellbeing, strengthen one's resolve, and provide access to tools that will help in the reprogramming of un-useful/unwanted habitual thinking and behaviors. In addition, it will empower you in the busyness of your everyday life|work environments. The tools and practices taught in Mu-i will expand one's capacity to manage conflict, engage with others, rejuvenate health, and navigate situations that might ordinarily lead to burn-out, stress, or other illnesses. In this short introduction of MUI-I ZEN TAIJI, participants will discover their natural default patterns, practice the 10-step movements, and learn several simple and easy stress reduction techniques. A limited pre-release number of my new book "Movement for Movements" detailing Mu-I Zen Taiji as a practice for movements supporting social justice and transformation will be available for purchase. Clarke Weatherspoon teaches meditation and yoga with Works of Wonder, an organization at aimed helping black communities experience greater peace and resilience through self-awareness and stress reduction. Clarke is a local history teacher and water polo coach. He resides in San Francisco. 1pm- Intro to Self Care Reform Wellness with Dr. Marcus Penn M.D. Self Care Reform Wellness (SCR®) is a leading-edge professional health and wellness organization providing tools and strategies for self awareness, personal transformation and lifestyle change. Our array of tailored self care programs, complement the needs of your environment and help individuals reduce stress, improve productivity and sleep better. We offer individual, group, staff and corporate self care coaching, seminars, trainings and retreats. We are available for speaking engagements, forums, panels, leadership retreats national presentations and conferences. The Self Care Reform goal is to shift the focus of healing, health and treatment back to the individual. With so much current emphasis on Health Care Reform in the hands of insurance companies and Washington legislators, Self Care Reform is something that can be done right now. Health Care Reform took 60 votes in the Senate but Self Care Reform takes 60 seconds in the individual. Meaning that every minute of our lives is an opportunity for Self Care Reform. Welcome to Self Care Reform Wellness, where you will inform your body, empower your mind, and heal your spirit. Marcus Lorenzo Penn, M.D., C.Y.T. The purpose of SCR is to bring information, empowerment, and healing for societies to embrace full healthy lifestyles. The mission of SCR is to bring greater awareness to principles, practices, and modalities that encourage Self Care and personal responsibility in one's health. The vision of SCR is to incorporate Self Care within health care and wellness as a comprehensive means to foster healing in societies. Description: Free yourself with African-Brazilian martial arts. Learn the African-originated style that freed the slaves of South America and was banned for nearly 50 years. All skill levels are welcome. The Preto Velho school is also available for demonstrations for your event. Classes: Tues: 7:00-9:00pm Saturday: 1:30-3:30pm Location: Mosswood Park, At the corner Macarthur and Broadway in Oakland. Oakland Votes’ mission is to increase voter engagement in Pan African communities through non-partisan policy education. Sign up for this workshop to learn important information on voter’s registration, check your voting status, the importance of our vote and engage in discussion on state and local measures that directly affect our communities. Oakland Votes supports the participation of all Black, African, African American, and Pan African communities in Oakland in the American democratic process and voter engagement. Oakland Votes strives to increase civic and voter engagement by conducting educational workshops, offering digital and pamphlet voter support tools, and hosting community gatherings to generate awareness and collaboration. This introduction workshop explores the importance of having a spiritual/physical practice as a radical act of struggle and social justice. It will be an engaging and interactive workshop where participants will discuss; what a spiritual practice is and how these practices support radical movements for struggle. Participants will experience and practice samplings of various movements, forms, and breathing techniques that can be used to establish a healthy community and lifestyle. A listing of people of color practice communities will be provided on request. Copies are limited. Alonzo "zochi" Young: Teacher, mentor, artivist, author, and founder of Njialife (an integrative and regenerative 360º system designed to support individuals, organizations, and communities to develop a health and wellbeing balance into their busy live/work lifestyles). Zochi has had a mindful practice and has taught movement arts and Taiji in particular since 1980. Since that time he has searched to expand his knowledge and experience in many disciplines including Zen, meditation, Kemetic sciences, Yoga practices and studies for the single purpose of transforming and healing communities. In addition to his work as a teacher and founder, he is also a certified Acu/Wellness Detox Specialist. It is through this lens of restorative healing, Zochi gathers his inspiration to teach youth and communities. He is driven by the work of the ancestors and the many teachers who have come before him and through him to continue their support of creating liberated, healthy, resilient, and thriving communities. He does this by placing health and wellbeing at the center of his life and work. He is particularly moved by the kinesthetic and sometimes cryptic teaching of "Ueshiba" (the Founder of Aikido), in his expression of movement as a vehicle to awaken a deeper and embodied interconnection to our humanity; the universal, naturalist and radical teaching of "Lao Tsu" in his teaching of 'Dao De Ching', expressed and embodied in the movements and principles of Taiji; and the ancient and spiritual Kemetic/African living wisdom often veiled from us in plain sight, reminding us all to first and foremost "Know Oneself". Through this exploration of self, an intuitive wisdom arises to lead to our personal liberation. Zochi has taught mindful meditation & movement practices (Taiji, Yoga, & Qigong) to youth, adults, communities and institutions throughout the U.S., Africa, and Asia. He accredits his knowledge, teachings, and writings as fruit springing forth from his experiences as a teacher, the teachings of his many teachers, guides, and mentors, and the internal alchemy that occurs in the never-ending journey of practice. Aboout me: Samsarah Morgan is a doula, childbirth, parenting educator and student midwife with over 35 years experience . Her practice is Nia Healing Center for Birth and Family Life in Oakland, CA, She is also the founder and Executive Director of Oakland Better Birth Foundation, her goal is reduce infant and maternal mortality in the African American community, by providing information, education, and support to women and their families as well as providing access to doula care and childbirth and lactation education to all families regardless of their ability to pay. the workshop - Join samsarah as she shares 10 steps to having a vibrant and healthy pregnancy , childbirth and early parenting experience. Find out how you can avoid a c section, and actually enjoy the process of birthing your child and find out how your empowered and joyful birth and safeguard your life and that of your child! Announcing the publication of Children's Village Tales of an Urban Nana by Samsarah Morgan. This is a Black-only space. Today, Oakland’s 28% Black populationis fast changing and quite diverse. Whether we call ourselves African-Americans, Africans, Caribbean and Afro Latinos, we are part of the growing diverse Black community; but our ethnic identities also matter, statingsimilarities and difference. The African Diaspora Dialogues is intentional open space for frank and courageous conversations about race and identity between Black communities. This is an introduction to the Dialogues, with provocative and interactive conversations. 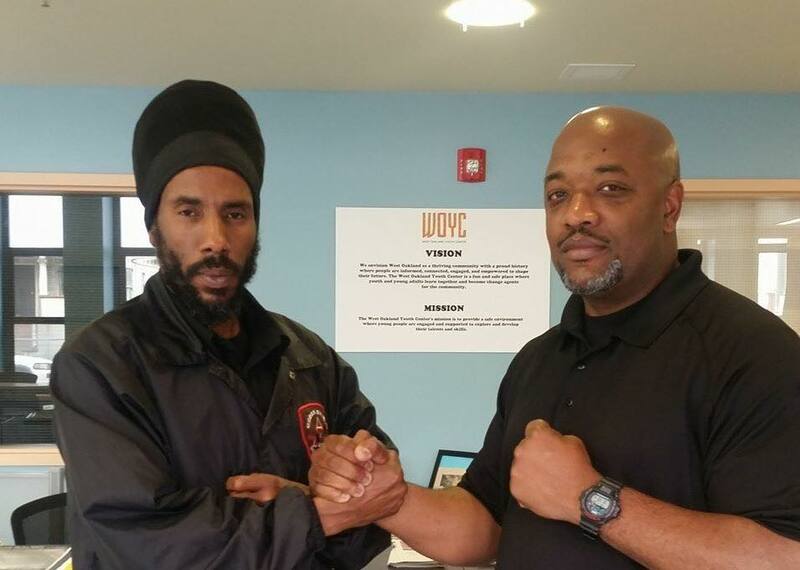 Co-Founder and Co-Chair of the O.N.Y.X Organizing Committee and the A-PTP(Anti-Police Terror Project). Former host of "Holla Back" Open Mic Poetry Series @ East Side Arts Alliance Culteral Center in Oakland. He's performed along with tha Lower Bottom Playaz, The Last Poets, and Co-Founded Tha Usual Suspectz poetry team and part of the Paid Poet $ociety. A poetry team along with MoBetta Foster and Lady $audah, fellow artists and poets. As a poet he's performed throughout the Bay and throughout California. He's performed anr and conducted workshops on social justice at Humboldt State University. Performed@ Modesto College, Cal Berkeley, the One Life Intstitute, Jahva House, and numerous other venues throughout the state including, but not limited to Projects, Pennitentiaries and Courthouses all over the state for the Cause of Social Justice and Afrikaan Liberty. the Onyx organizing committee is a Black Liberation Organization dedicated to the liberation of All Afrikaan communities from poverty and violence. inequitable housing and unfit school systems and to eliminate All forms of state sanctioned terror and opression from within our communities. APTP a project of the Onyx organizing committee is dedicated to fighting police and state sanctioned terror and violence and holding the state accountable for that violence. Former victim of police Terror and violence both on the streets and while incarcerated has been organized and consistently since his last released from State confinement in 2009. Attendees will learn about the origins of colorism within the African American culture and it’s prevalence among African Americans in general and African American women, in particular. Additionally, participants will learn how images of African Americans within the media and social media have become tools of internalized oppression, such as colorism. Attendees will gain a greater understanding of how internalized oppression is traumatic and its impact one’s self esteem. Finally, a discussion regarding coping strategies and ways to foster resilient and healthy relationships among African Americans will also be facilitated. BIO: Natalye Pearson, Psy.D. earned her doctorate in Clinical Psychology from California Institute of Integral Studies in 2010. She has worked with underserved and marginalized populations in the San Francisco Bay Area including African Americans, Latinos, LGBQT, people living HIV/AIDS, sexually exploited girls, and communities impacted by community violence and poverty. Furthermore Dr. Pearson specializes in treating trauma survivors, chemical dependency and people of color suffering from the impact of internalized oppression on their self-esteem. For her dissertation, Dr. Pearson studied the impact of colorism on dark skinned African American women’s self esteem and the ways in which they developed and maintained resiliency. Currently, Dr. Pearson provides chemical dependency treatment to adults in San Francisco. Multiculturalism, in particular the study of the emotional impact of internalized oppression and privilege, are of great interest to Dr. Pearson, as she believes creating healthy dialogues and psychological exploration around these issues are essential to healing prejudice. Garry “Malachi” Scott is the re-entry/community restorative justice coordinator for Restorative Justice for Oakland Youth. He co-founded the North Oakland Restorative Justice Council and is on the Safety and Services Oversight Commission (Measure Z) in Oakland. Malachi has journalistic experience with written articles in the New York Times, the San Francisco Chronicle, and featured on other articles around the issue of incarceration. He came to restorative justice through the Victim Offender Education Group, a program of the Insight Prison Project, while incarcerated at San Quentin State Prison. During his incarceration he obtain an Associates Degree, co-founded a restorative justice base group called Kid C.A.T. (Creating Awareness Together), and was the sports editor for the San Quentin News. 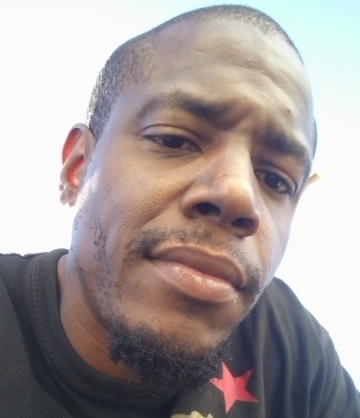 Rahkii "Hyp" Holman is currently a reentry intensive case manager and Restorative Justice Facilitator at Community Works West, where he provides intensive case management for reentering adults from the county jails in San Francisco. Formerly, he was an RJ facilitator for The Insight Prison Project at the Central California Women’s Facility and Camp Sweeney the juvenile justice camp in San Leandro. He graduated from UC Berkeley in 2013 with a degree in psychology and was a facilitator for the RJ program on campus. Come with an open mind and a positive spirit. There is no better time than now to do what you already know you should be doing.